Christmas cards are such a fun way to share your yearly family events roundup, to see the progress of the kids or just show your personality! 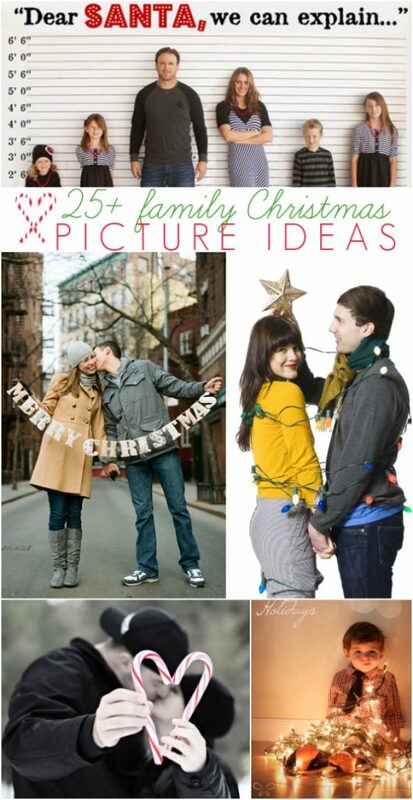 Check out over 25 family Christmas photo ideas to make your holiday season bright! We just got our annual family pictures taken for our Christmas card this week. I wish I was bold enough to use the one below, but we’ll probably end up using a safer pose where we’re all happy and boring. 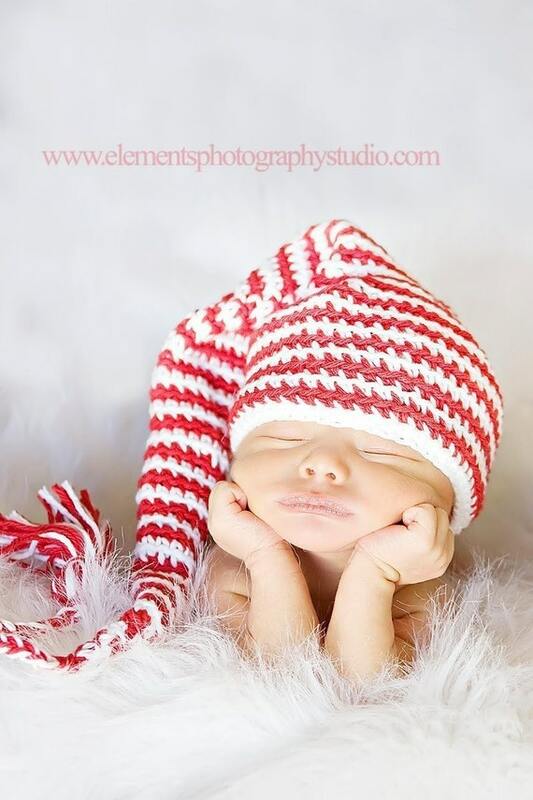 But it got me thinking it would be fun to put together a list of 25 cute family Christmas picture ideas to shake things up for those of you braver than me! 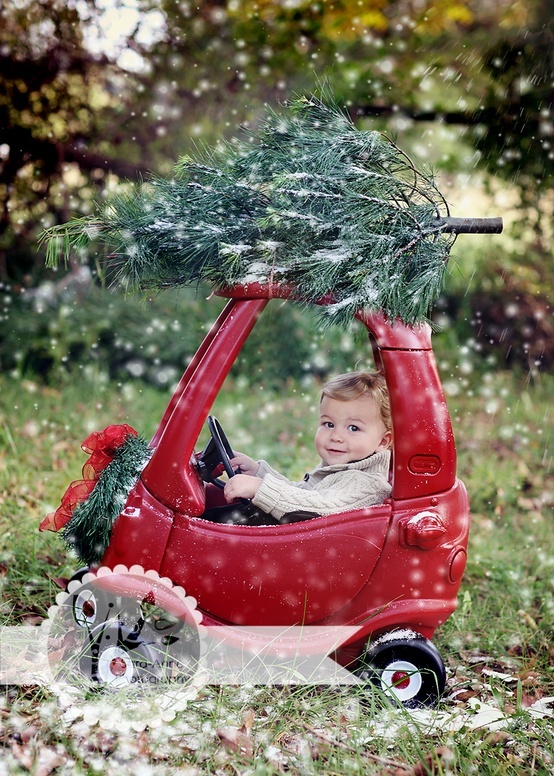 We’ve gathered some really cute family Christmas photo ideas to make some creative family Christmas cards! 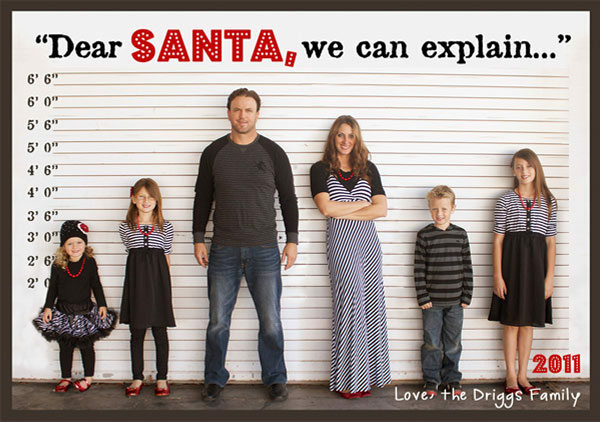 This mugshot Dear Santa, We Can Explain Christmas card is so cute from Summertime Designs. Gather classic black and white clothing for instant “jailbird” attire. 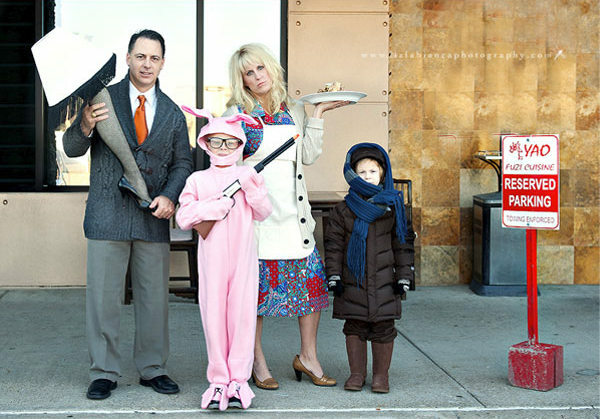 The Christmas Story movie is on repeat during the holidays at our house so we adore this Christmas Story Relica family Christmas card from Liz Labianca. Did you know they sell leg lamps all over the web now? So fun! 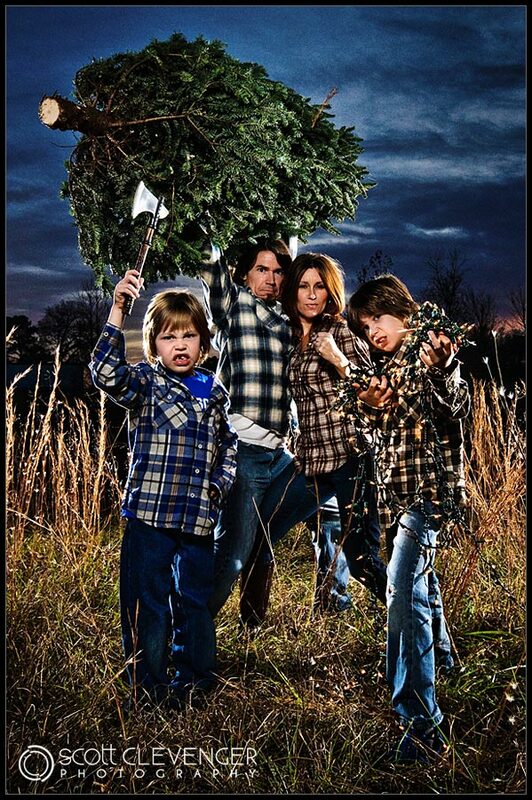 We have personal memories Cutting Down the Tree every Christmas so this family picture from Scott Clevenger Photography hit home for us. Grab plaid tops and you’re picture ready! We’re not a big hunting family but my husband is in law enforcement so this Armed Family family photo from Coues Whitetail made us add it to the collection. 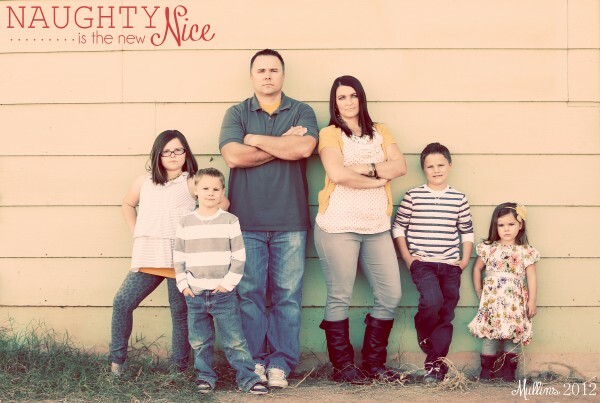 Jean and black tees are all you need to pull off this tough family photo idea! I think every mom can relate to this cute We’re Hanging On family picture from Focus Jennie. 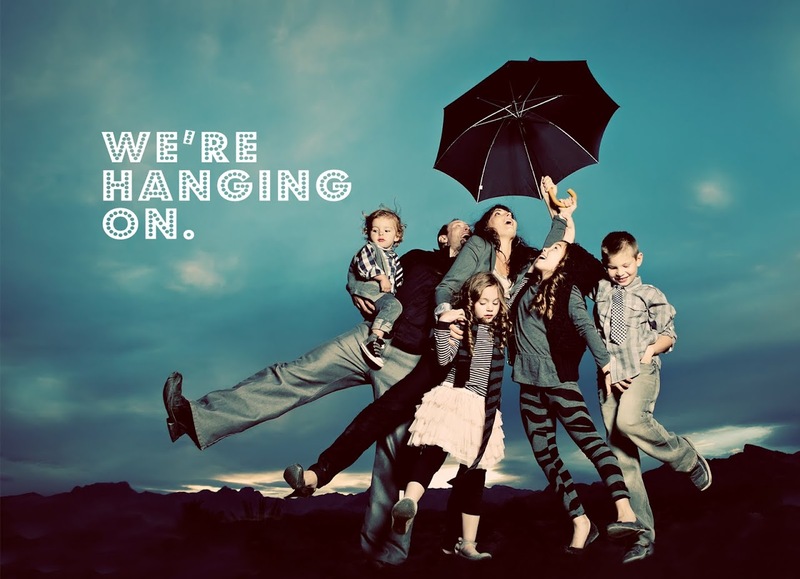 Add a colorful umbrella and some cheery rain boots to create a fun family Christmas card! You know our love of monograms. 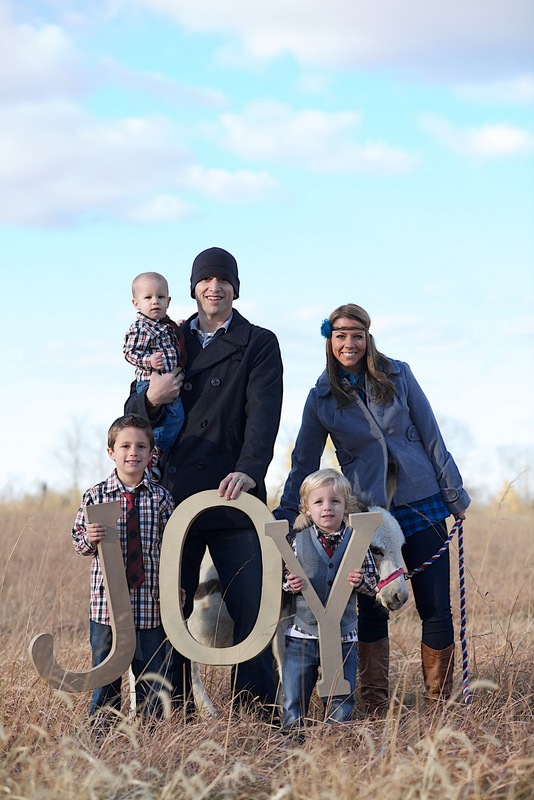 These JOY letters family Christmas card from The BMC Report has our heart! 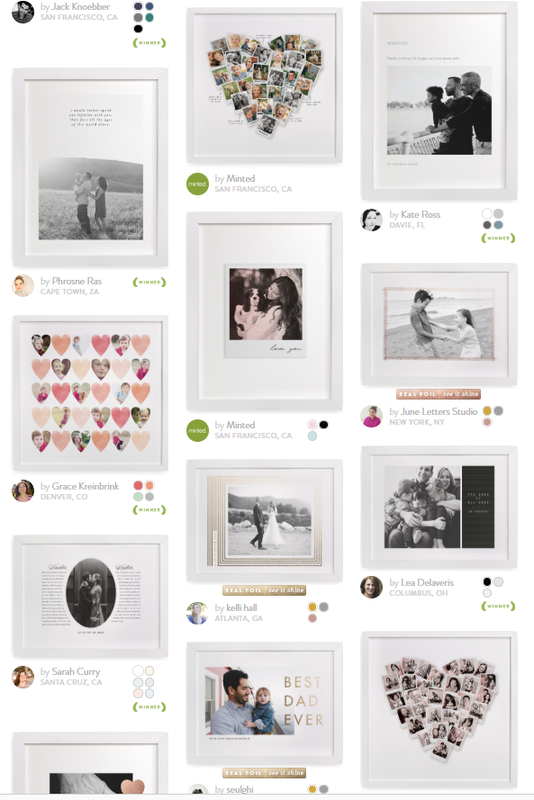 If you like props in your family photos, be sure to visit our 31 Family Photos Using Props roundup! 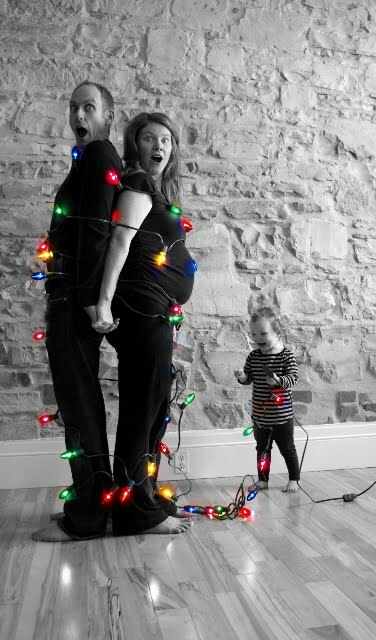 This fun black and white family Christmas card with colorful outdoor lights around the parents from Say Yippie perfectly sums up parenthood! 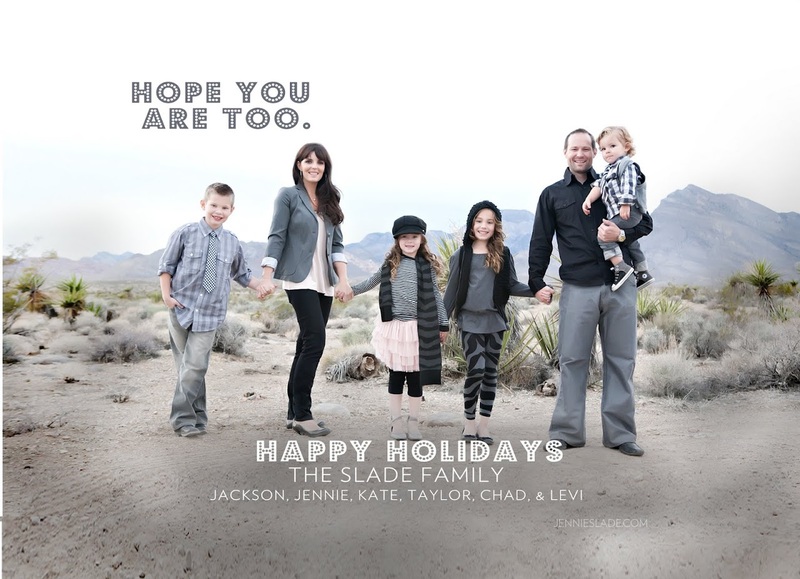 This Family Ornament family picture Christmas card idea from Photos by Lei is so sweet. 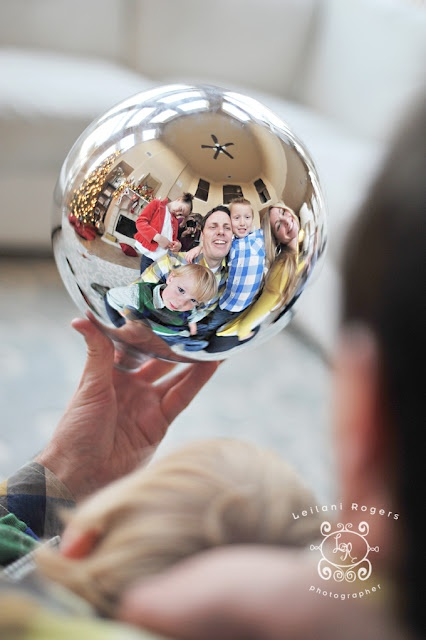 Love the family all gathered around and seeing their reflection in a simple silver ornament. Awh! This is a funny family Christmas card idea: an Ugly Sweater Candy Cane Family picture from National Geographic makes us chuckle. Lots of ideas for affordable ugly sweaters you could replicate this look with! 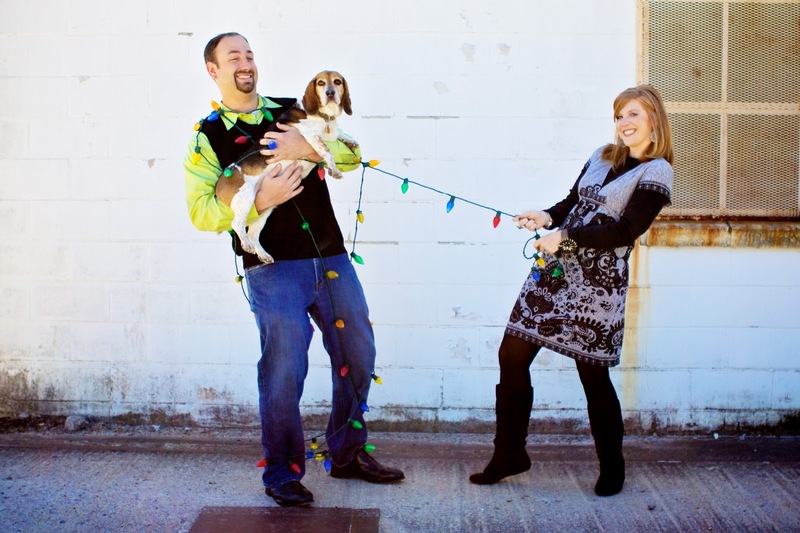 Love this darling couple Christmas card idea! 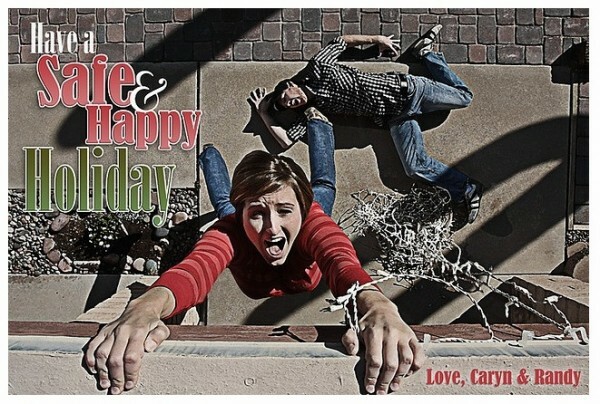 The Merry Christmas banner photo from A Bryan Photo is the perfect couple Christmas card picture! 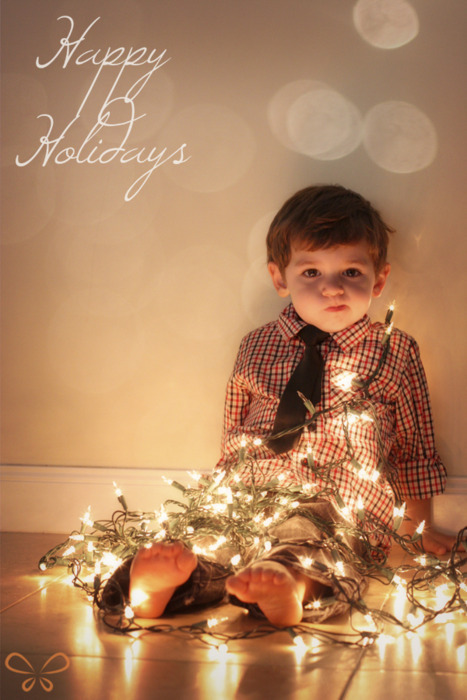 PLEASE PIN so your friends can find creative family Christmas card ideas, too! How adorable are all these! Awesome, Nichole, thanks for finding the source!! (: GREAT pics, her blog is amazing! These are fun and hilarious! I have one friend who does a hilarious card every year (and another that does an inappropriate and sometimes funny one). That takes planning…I am happy to get one photo. You have a gorgeous family! These are all great ideas. Too bad that by the end of the year, I’m so disorganized that if I sent cards out, they wouldn’t get mailed till Valentine’s Day. Oh my gosh, some of these are so funny! I love your fun family pose! You should totally go for it! These are just the cutest! I found myself laughing out loud while scrolling down this list. 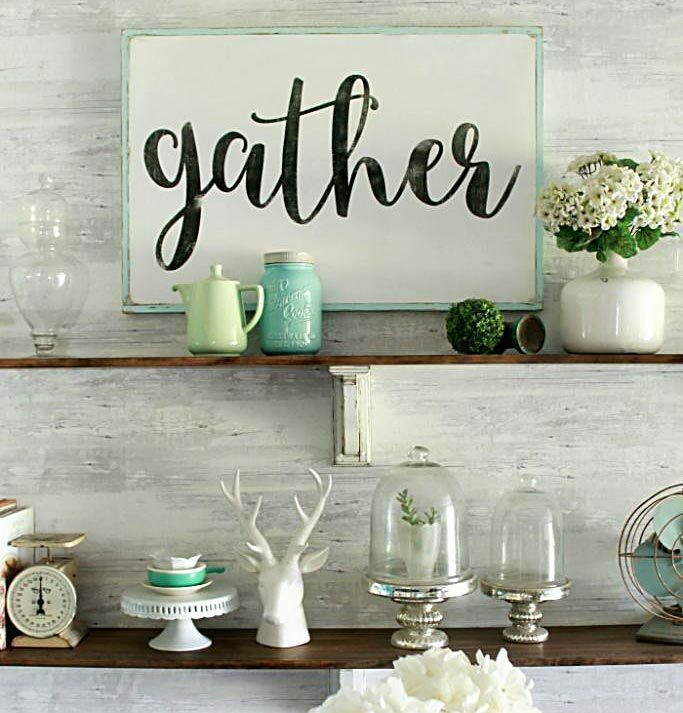 Thanks for sharing these ideas! Very fun! So many of these speak to me as a mom . . . like We’re Hangin’ On or Silent Night. 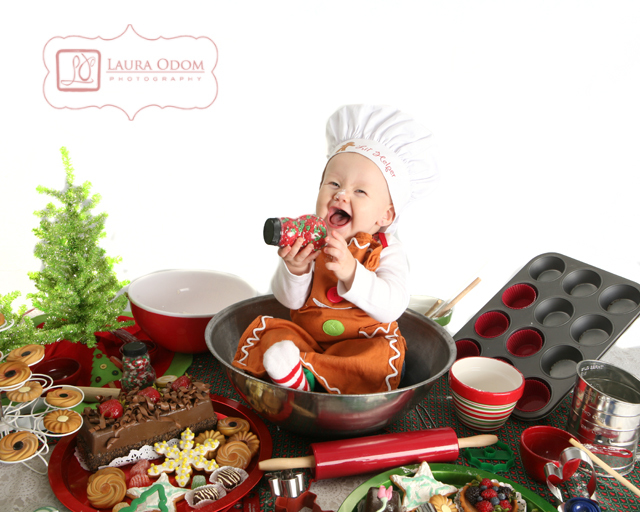 But the Baby Baker really takes the cake! That’s what it’s all about! Every year I try to do something creative and different — gets difficult as the years go by! 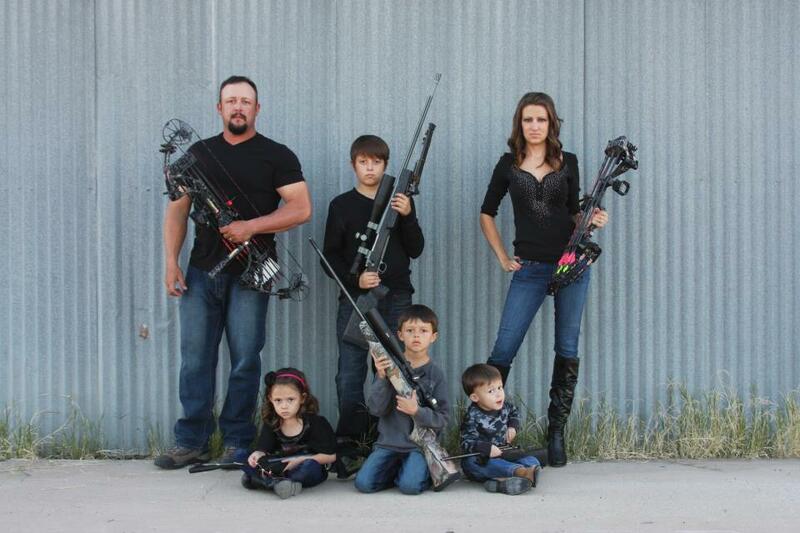 I love all of these, except for the “armed family”. Great pictures. I like it.